Don’t just become a salesperson to your clients but become their trusted advisor or resource. 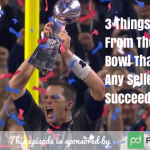 In this world of competitive selling, you’ve got to set yourself apart and the best way to do that is to sell with authority and be the authority! 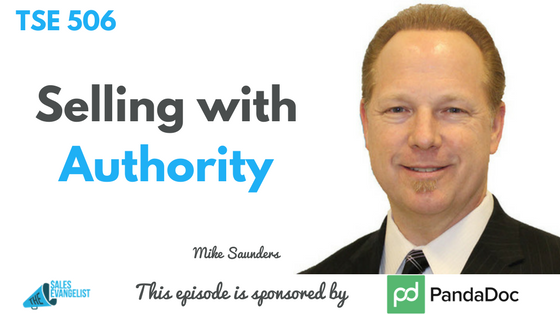 Mike Saunders shares with us how you can sell with an authority positioning approach. Mike is the author of the book Authority Selling. He is also the host of the Business Innovators Radio Network. With 15 years of experience in the mortgage banking industry, Mark got an MBA in Marketing and started working with small businesses beef up their marketing strategies until he created his own digital marketing agency called Marketing Huddle. Mark continues to position himself as the obvious choice by articulating their competitive advantage and building trust on their clients. Speak loud and clear to your target audience. Whatever you sell and whoever you sell them to, be able to provide a solution to their problem or variations of it. Become an educator and an advocate for your target audience’s success. It’s not all about asking them to buy or giving them coupons or having a discount sale or countdown timers. Instead, teach and advocate for them through authority positioning. 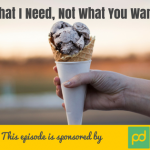 First, determine what you’re selling, your commission, and your ROI breakeven. 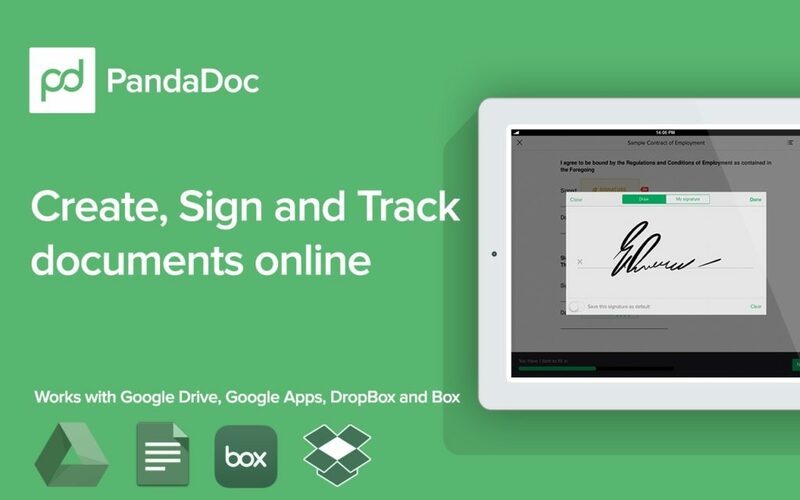 Sign up for a free service called HARO and get pitches from various journalists writing on a variety of topics. Reply or comment and you could be mentioned in that piece of media content and it gives you credibility. Focus on getting media mentions. Focus on getting those mentions in the media and you’re on your way to collecting the pieces for your authority positioning portfolio. Send a package to your target audience. Send your prospect a package containing a professional cover letter plus some colored copies of media mentions you’ve been featured in. (Note: These media mentions would be focused on your solution to a problem they’re probably facing.) Then add in a flash drive of more publications you’ve done things on or client testimonials. Connect through a meeting or a phone call. Once you connect with your client, you are now perceived as a trusted advisor or resource and not as a salesperson. This is what sets you apart. Become a radio show or podcast guest. Building links to your website, blog, etc. People will Google you or your company name so SEO doesn’t come into play here. SEO comes in through the keywords you’re using. Use these keywords in your interviews and media mentions so once people Google about it, you will appear on the results. Build links to your main website, blog, etc. (which builds your authority positioning asset) so it will be ranked up there. Mike offers Brand Boost to his clients for a one-time fee of $297 where he does a brand boost for the company. What does the Brand Boost entail? Become a guest on his show, Business Innovators Radio Network where you will focus on giving solution to the problem. Syndication to different news media sites and you get a link to that media show. Mike’s 3-hour Authority where he takes you through a 3-hour call to help you become an Amazon bestselling author without writing a word. Get a free copy of Mike Saunder’s book Authority Selling. Just go to www.authoritysellingbook.com.